The spring and summer months can be a challenging time to keep your fitness and weight in check. There are a ton of parties, weddings and gatherings that can easily get your nutrition out of line. These events are also reasons to skip workouts.. 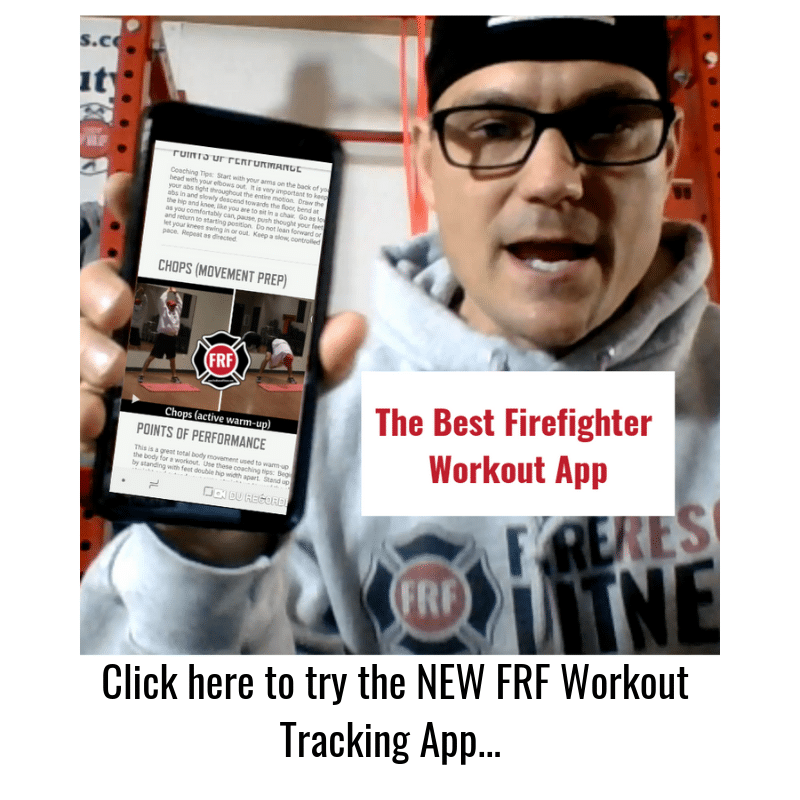 So, to help you combat these fitness “distractions” I’ve created these Firefighter Fitness- 5 Simple Tips to Get Leaner and Stronger in the next couple of weeks. These tips can help you stay or get back on-track this summer. Take a look. 1. 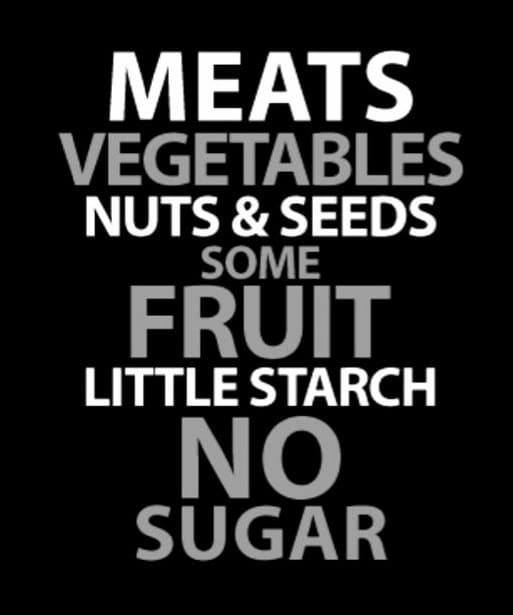 Get back to basics with your Nutrition. Consume whole foods that are natural and not processed. Try to consume lean protein sources (lean beef, chicken, fish, and whey protein), fruits & vegetables (oranges, apples, strawberries, blueberries, broccoli, peppers, asparagus, celery, carrots), nuts (almonds, cashews, & walnuts), and whole grains (oatmeal, brown rice, quinoa). 2. Follow a consistent and effective EXERCISE program! This program should include active flexibility, full-body core exercises, fire ground movements and fat burning/ performance enhancing intervals. 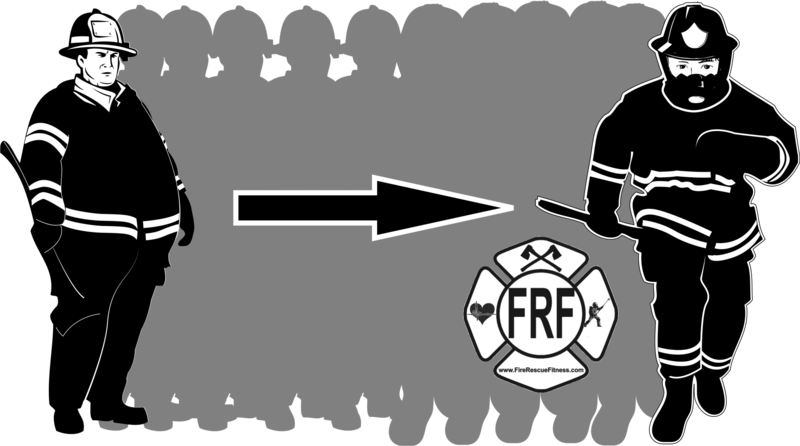 Fire Rescue Athletes need to be ready for any situation, a well planned fitness program is essential. 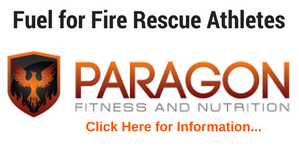 But, very few fitness programs prepare Fire Rescue Athletes to be “fit for duty” and help decimate fat…..until now. 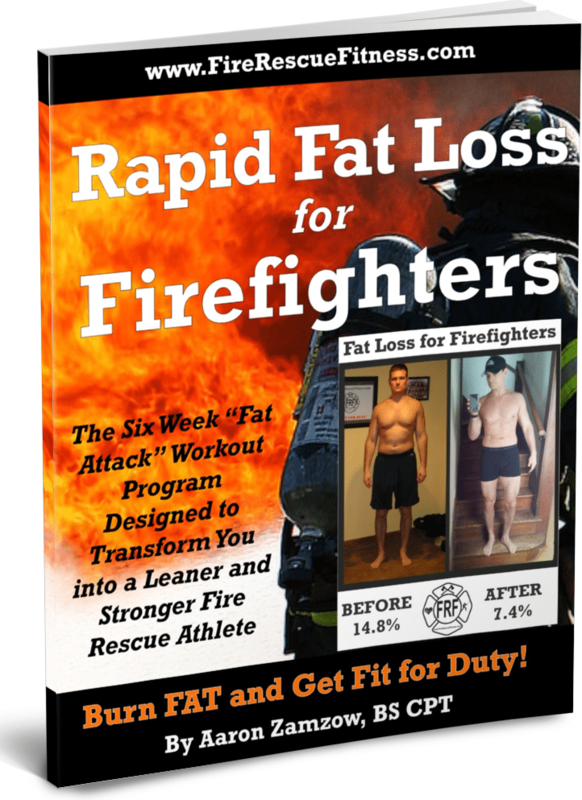 Click HERE to Check out the FRF Firefighter Fat Loss Workout. Also, check out these programs (Click HERE) that will get you in the shape of your life. 3. Drink more water. Water is essential for life. The human body is made up of more than 60 percent water, and nearly 75 percent of the brain is comprised of H20. Without it, humans can’t survive more than a few days. 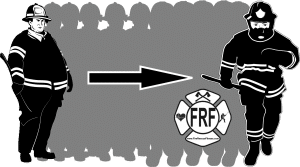 Progressive dehydration from exercise (or fire ground operations) impairs performance, mental capacity and perception of effort, and it can be life-threatening. With as little as a 2% shortage of body water, the ability to perform a high-intensity activity can be greatly impaired. Staying hydrated will not only help your performance but it could also help you stay on track with your fitness and nutrition. Proper hydration can give you energy, help keep your joints well lubricated, help reduce fatigue and most importantly help you keep your nutrition in-line by combating hunger and suppressing appetite. Try to drink at least 80 ounces of water a day and even more on hotter days and higher activity days. 4. Avoid ADDED Sugar. Sugar can really curb your fat loss and cause you to add extra calories to your diet. Try to limit sugars by looking for sugar in the ingredients and not just the nutrition facts. The goal of reading the label is to make sure sugar is not an added ingredient. If it is not added then do not worry about the natural sugar on the fact list. As far as how much sugar can you have in a day? 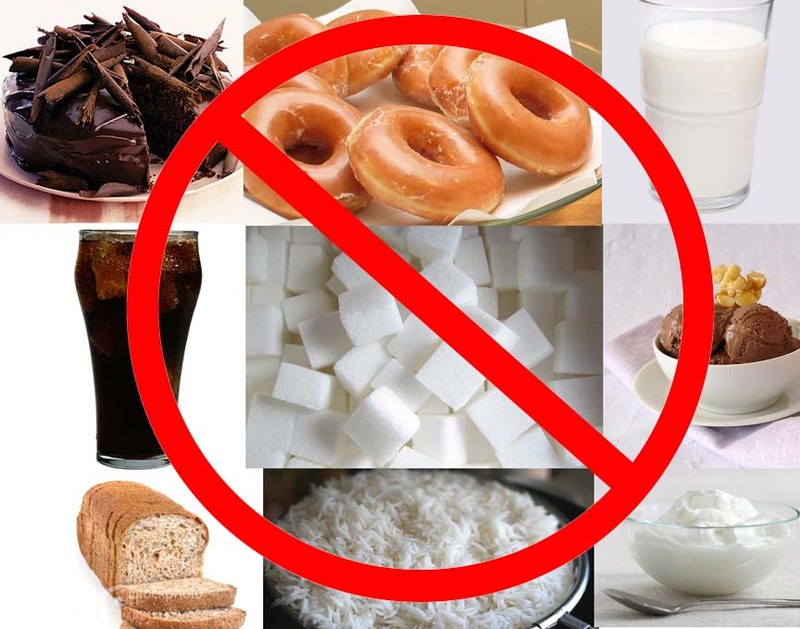 The World Health Organization suggests that no more than 10 percent of your daily calories come from added sugar, so that’s a good dietary goal. By reading labels you can figure out the number of calories you eat each day and how much sugar. Click here to read my article about reducing sugars in the firehouse. 5. Consistent fat loss requires good habits. If you want to create good habits, then you need a plan. Therefore, map out your meals every day and follow them. Plan ahead for long calls by having nuts or a healthy bar for the engine or truck. Prepare healthy meals and make extra to store for later in the week. If you follow your plan everyday for 2-3 weeks, you will form habits that become part of your daily routine and part of your life. Time to get “Fit for Duty,” I know these tips can help you stay lean and get stronger this summer. Agree, disagree, let me know by commenting and sharing this post. 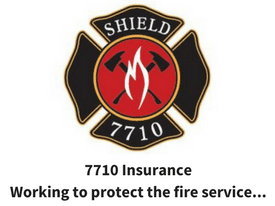 Stay safe and Get FRF (Fire Rescue Fit)!